FONTS: Please view the Font Chart below to see standard font choices. Select your font choice on the item page when placing your order. CORNER OPTIONS: See Corner Option Chart below for available corner options including Scalloped, Squared, Notched or Rounded. 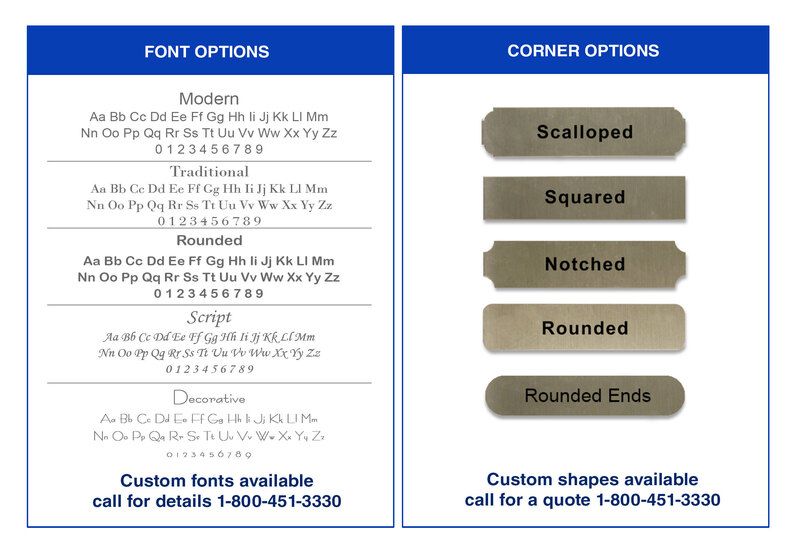 Please call or use our Request a Quote Form for pricing for corner options that are not listed as stock corners on product pages. ADDITIONAL FONTS & SHAPES are available upon request. Please call for details 1-800-451-3330. We can add your logo or use your artwork if it is provided in an acceptable format. - Any other art files may require an art fee. Call for details. Engraving Note: Engraving costs are based on basic text and number engraving. Some logos and/or graphics can require additional engraving time which will affect the final price. Please call for detailed pricing on engraving logos and/or graphics. 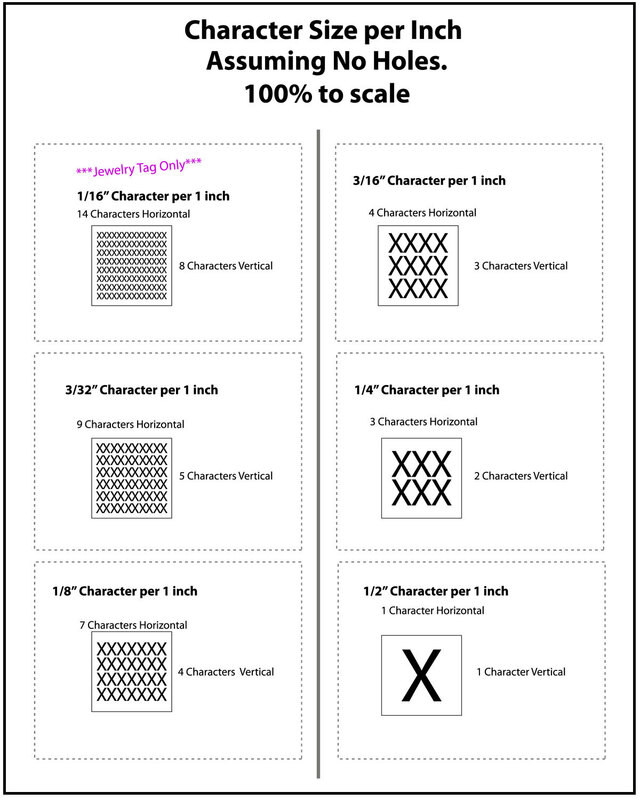 Please reference this guide to gauge the size of engraved characters in proportion to the size of the tag.